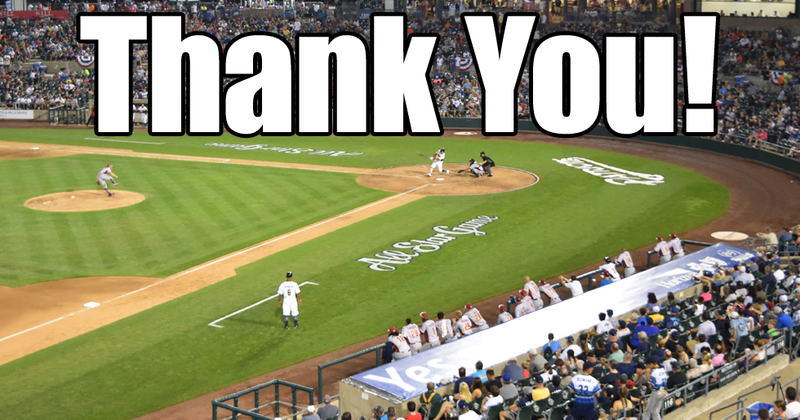 The Somerset Patriots want to thank the best fans in all of baseball for a tremendous 2017 season. While it didn’t end the way we all hoped, it was an All-Star Summer to celebrate our 20th Season! The Long Island Ducks (3-1) defeated the Somerset Patriots (1-3) 4-3 at TD Bank Ballpark in Game Four of the Liberty Division Series. With the victory, the Ducks have won the Liberty Division Championship and will advance to the Atlantic League Championship Series against the York Revolution. The Long Island Ducks (2-1) defeated the Somerset Patriots (1-2) 6-1 before an Atlantic League playoff record 8,131 fans at TD Bank Ballpark in Game Three of the Liberty Division Series. With the win, the Ducks have taken a 2-1 lead in the best-of-five series. 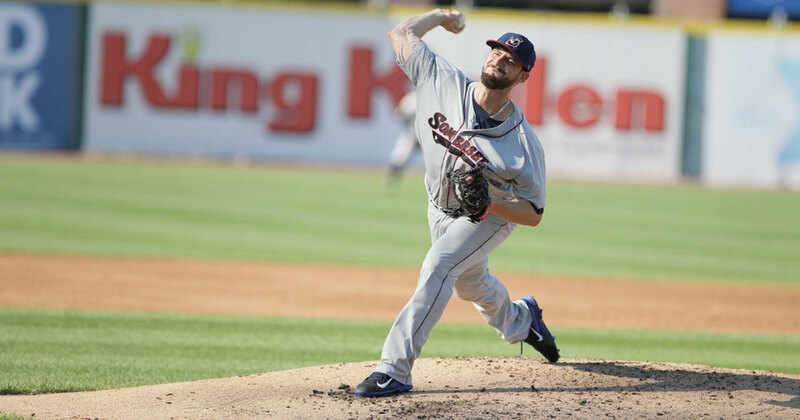 The Somerset Patriots and the Long Island Ducks square off in the Liberty Division Series. The Long Island Ducks (1-1) defeated the Somerset Patriots (1-1) 4-1 at Bethpage Ballpark on Thursday evening to take Game Two and even up the Liberty Division Series at 1-1. 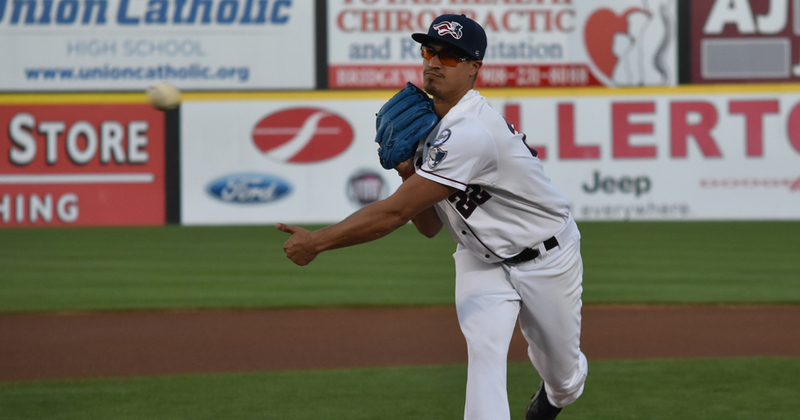 The Somerset Patriots (1-0) defeated the Long Island Ducks (0-1) 7-1 at Bethpage Ballpark on Wednesday evening to take Game One of the Liberty Division Series. 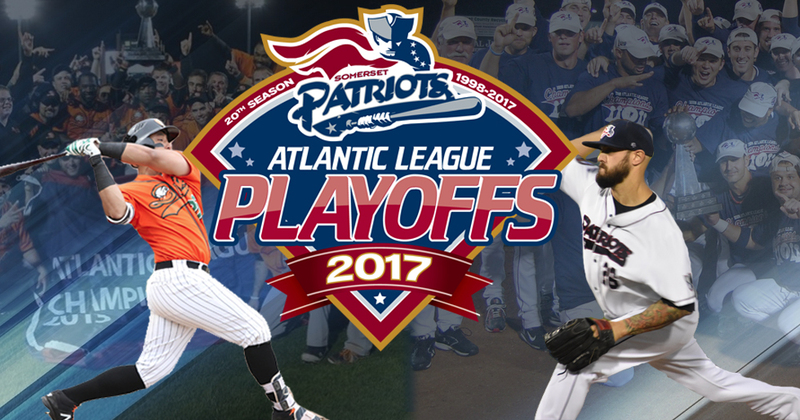 Don't miss the 2017 Atlantic League Playoffs! 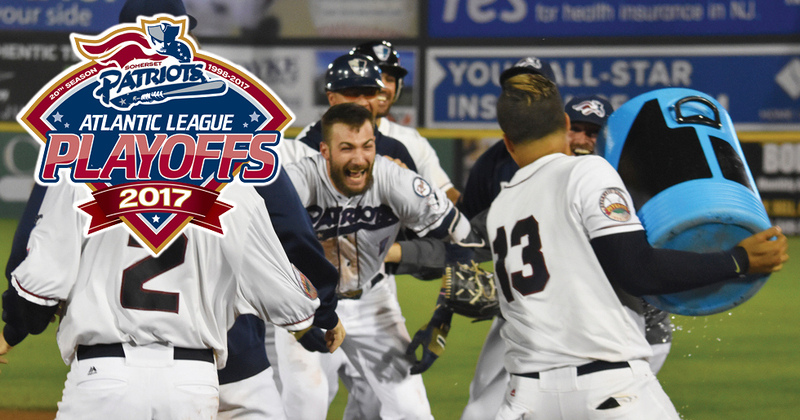 Somerset Patriots Playoff Tickets Now On Sale! 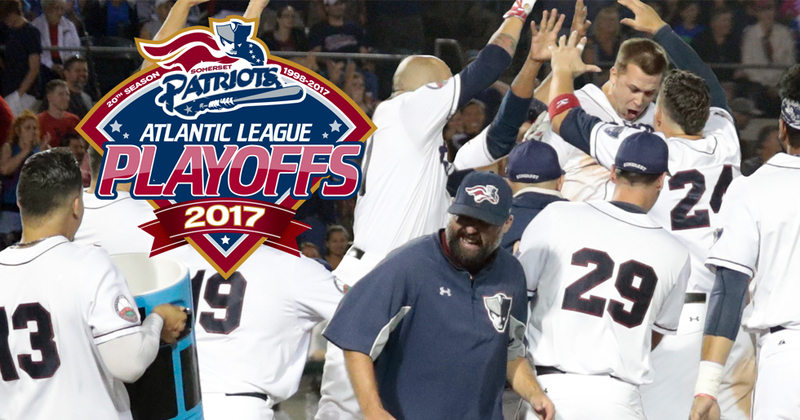 The Somerset Patriots have won the Liberty Division First Half Championship and clinched a playoff berth. 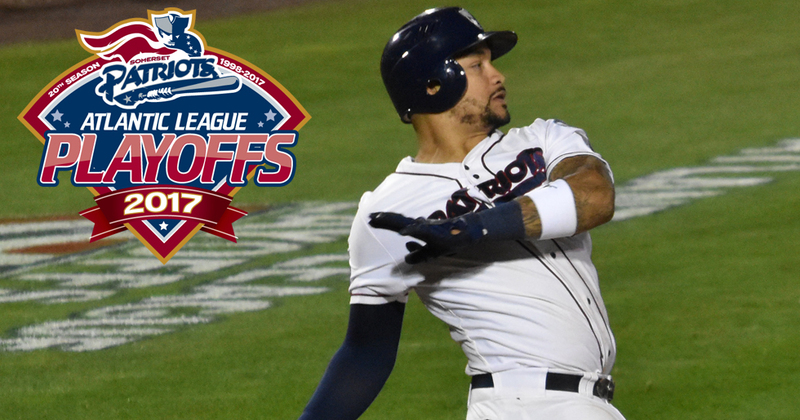 The team has placed Playoff Tickets on sale for the Liberty Division Series to be played at TD Bank Ballpark. 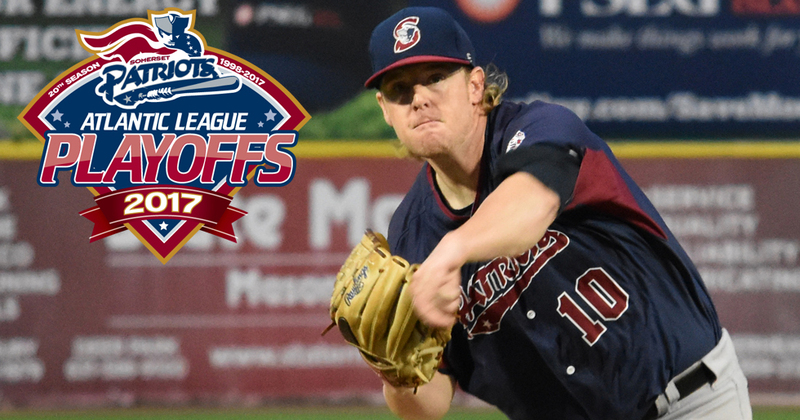 Bridgeport, CT- The Somerset Patriots (32-37, 74-65) set a new season-high with 19 hits in a win over the Bridgeport Bluefish (36-34, 77-63) on the final day of the 2017 regular season. 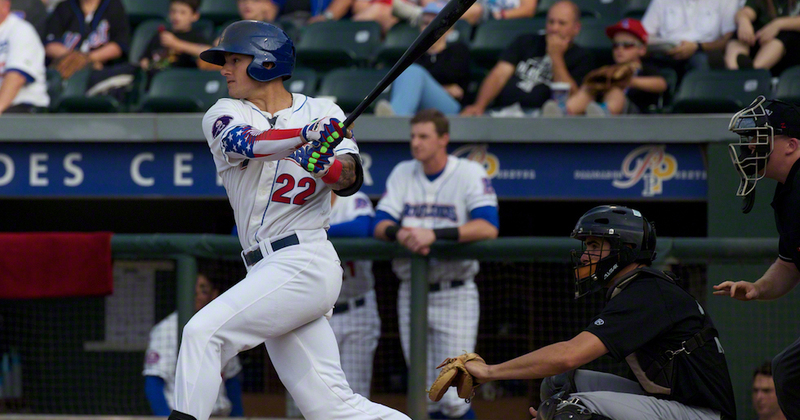 The Somerset Patriots have announced that the team has acquired outfielder Joe Maloney from the Rockland Boulders (Can American League) for a player to be named later. 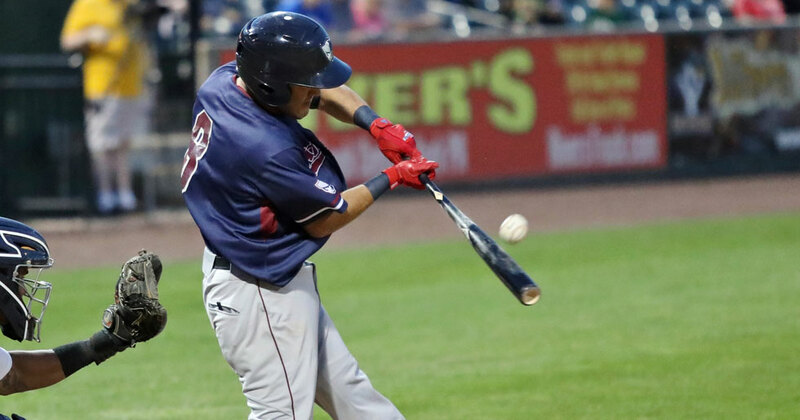 Bridgeport, CT- The Somerset Patriots (31-37, 73-65) pieced together a 5-2 victory over the Bridgeport Bluefish (35-34, 76-63) on Saturday night, led by a four-RBI night from David Vidal. 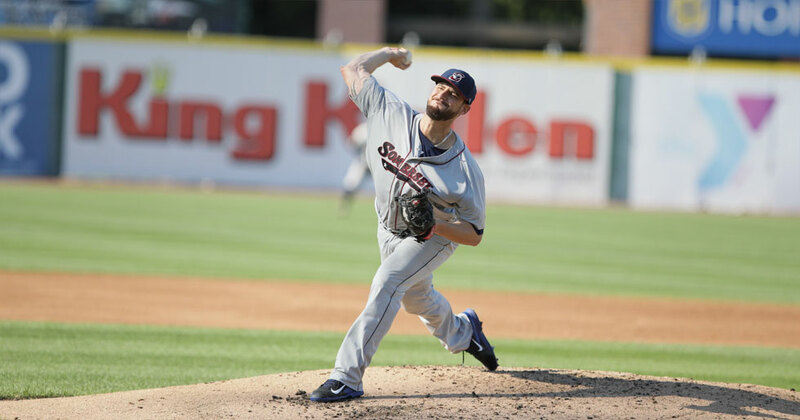 Bridgeport, CT- The Bridgeport Bluefish (35-33, 76-62) pulled out a 4-3 victory in the bottom of the ninth against the Somerset Patriots (30-37, 72-65) on Friday night. 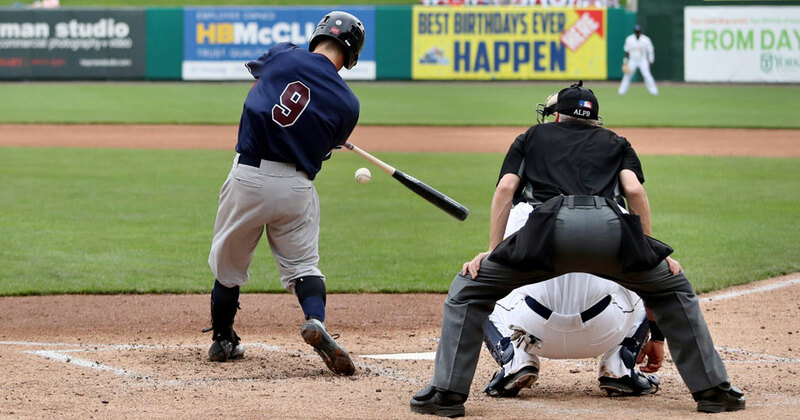 Bridgewater, NJ- The Somerset Patriots (30-35, 72-64) racked up 14 hits in a 7-5 victory over the New Britain Bees (28-37, 54-81) Wednesday night at TD Bank Ballpark. 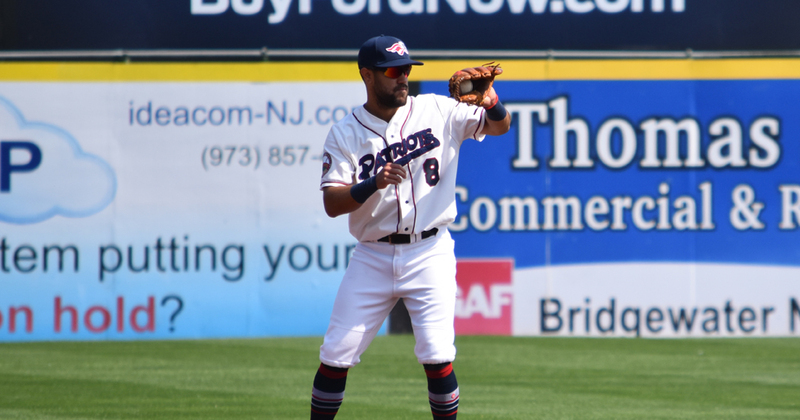 The Somerset Patriots have announced the re-signing of infielder David Vidal. 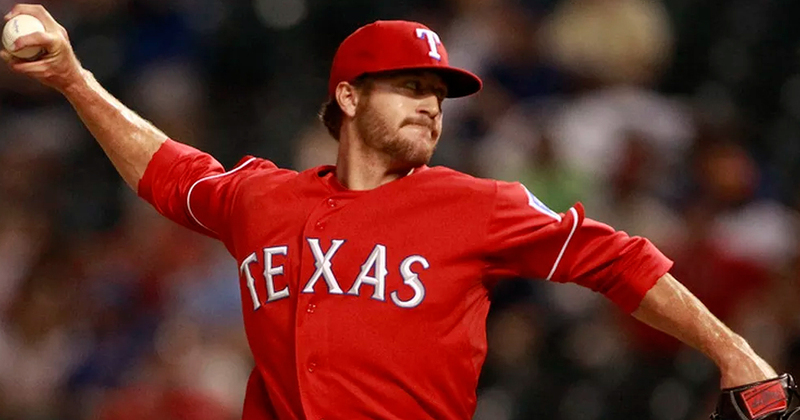 The Somerset Patriots have announced the signing of right-handed pitcher Mark Hamburger. 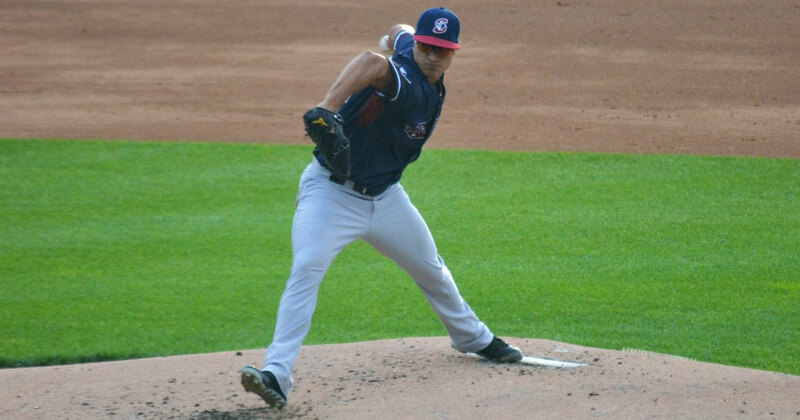 He was acquired in a trade with the St. Paul Saints of the American Association for a player to be named later. 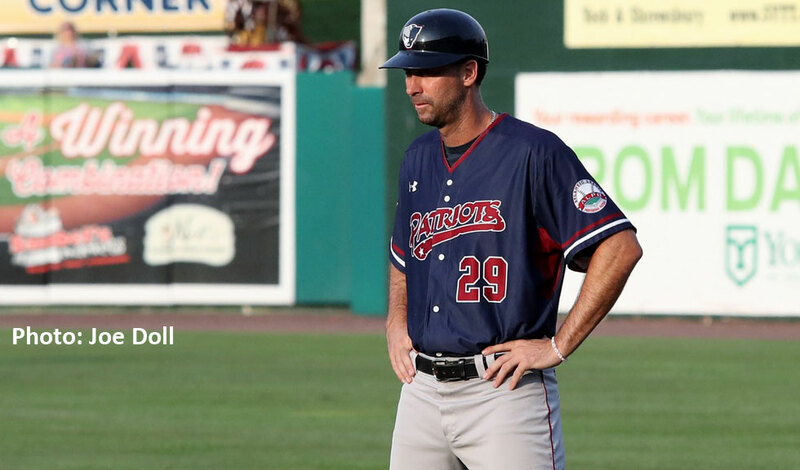 The York Revolution (35-28, 63-70) defeated the Somerset Patriots (29-34, 71-62) 8-1 at TD Bank Ballpark on Sunday afternoon. 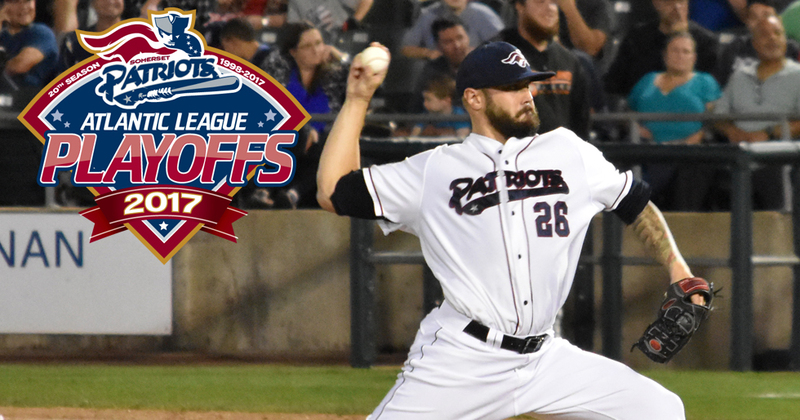 The York Revolution (34-28, 62-70) defeated the Somerset Patriots (29-33, 71-61) 8-4 at TD Bank Ballpark on Saturday evening. 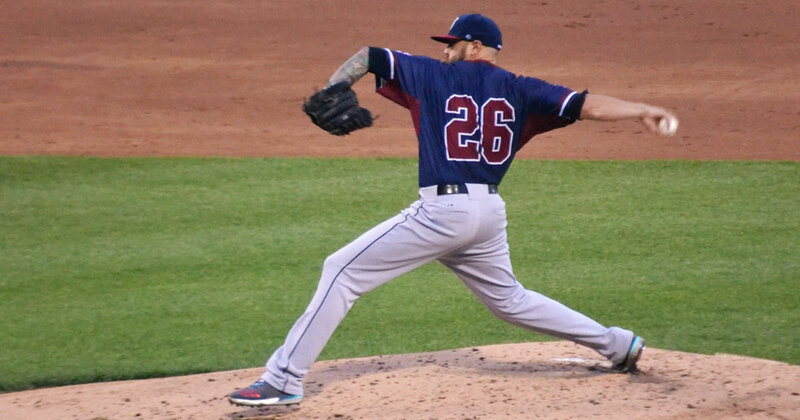 Will Oliver (7-6) struck out a team season-high 13 batters to lead the Somerset Patriots (29-32, 71-60) over the York Revolution (33-28, 61-70) in a complete game 6-0 shutout at TD Bank Ballpark on Friday evening. Chairman Steve Kalafer and the Somerset Patriots mourn the passing of our friend, Gene ‘Stick” Michael. 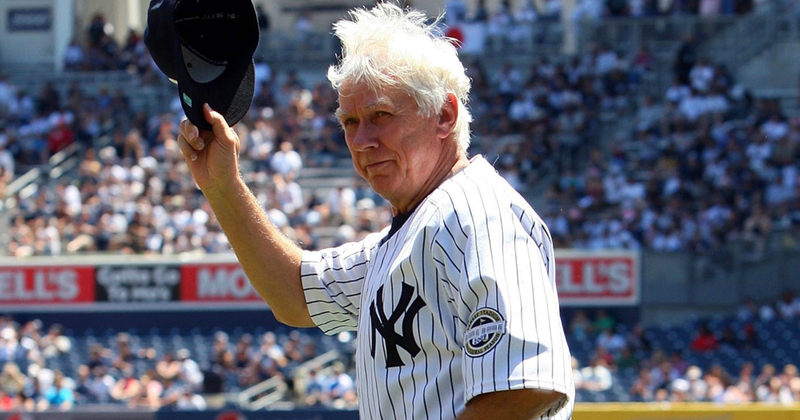 The New York Yankees announced on their website that Michael died Thursday of a heart attack at the age of 79. 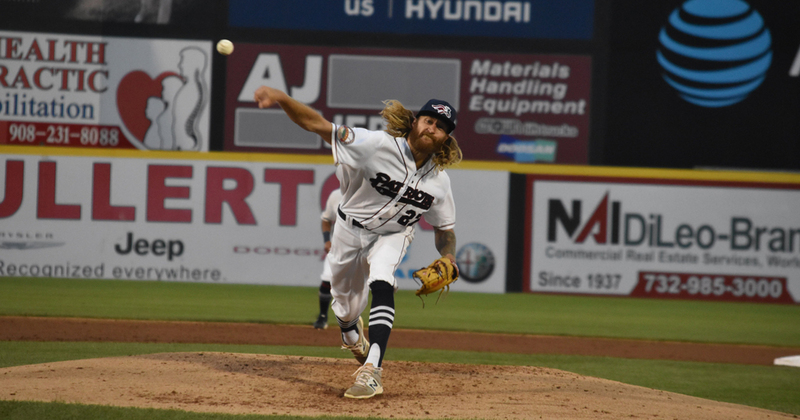 Waldorf, Maryland – The Southern Maryland Blue Crabs (26-35, 65-66) swept Thursday’s doubleheader over the Somerset Patriots (28-32, 70-60) at Regency Furniture Stadium. 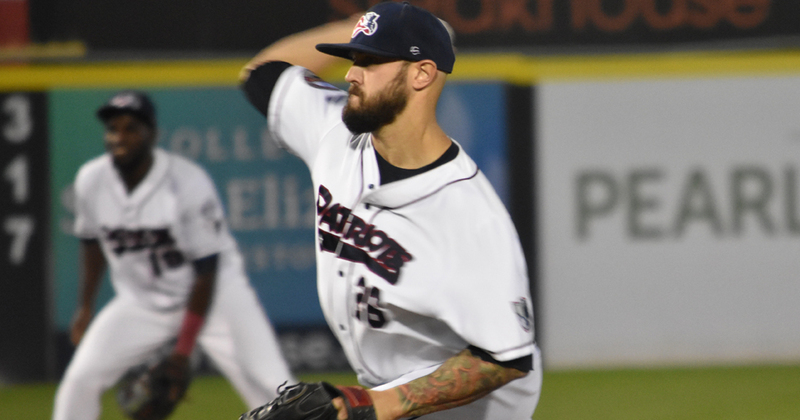 Waldorf, Maryland – The Somerset Patriots (28-30, 70-58) tied a season-high with 17 hits in a 10-3 victory over the Southern Maryland Blue Crabs (24-35, 63-66) Tuesday night at Regency Furniture Stadium. 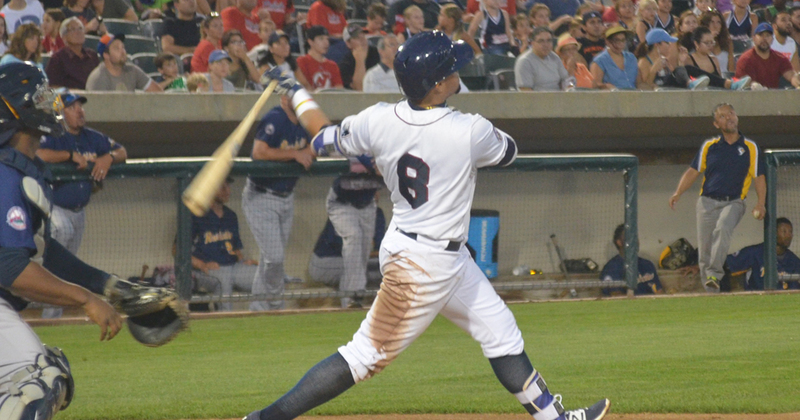 An eighth-inning rally for the Somerset Patriots (27-30, 70-58) led the way in a 7-6 victory over the Lancaster Barnstormers (32-26, 70-58) Monday afternoon at Clipper Magazine Stadium. Lancaster, Penn. 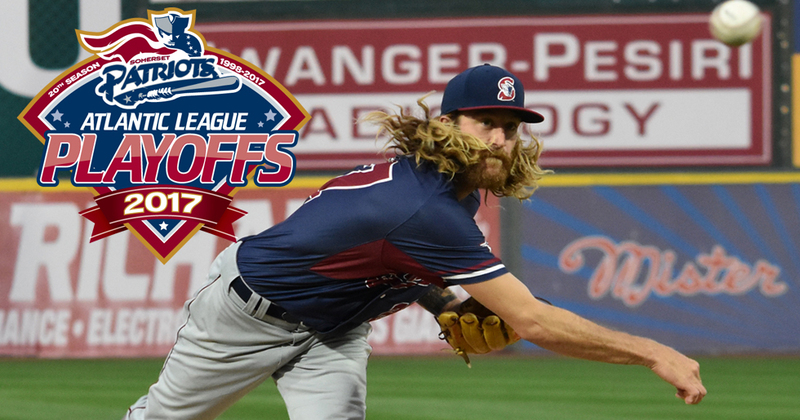 – The Somerset Patriots (26-30, 69-58) split Sunday’s doubleheader with the Lancaster Barnstormers (32-25, 70-57) at Clipper Magazine Stadium. Lancaster, Penn. 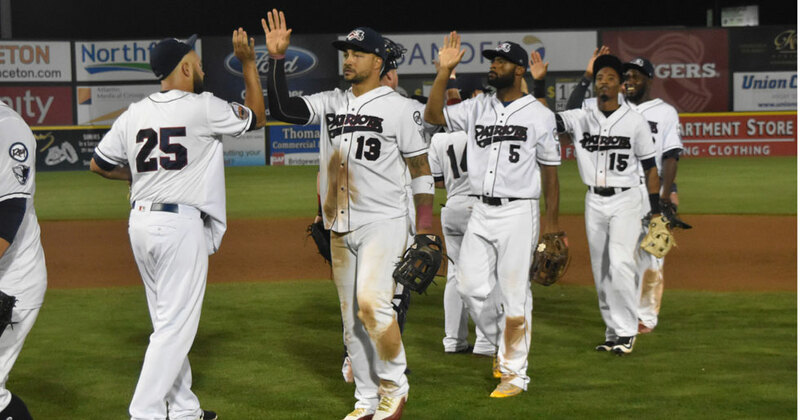 – The Lancaster Barnstormers (31-24, 69-56) withstood a pair of late Somerset Patriots (25-29, 67-57) rallies to hold on to a 2-1 victory in Friday night’s opener at Clipper Magazine Stadium.